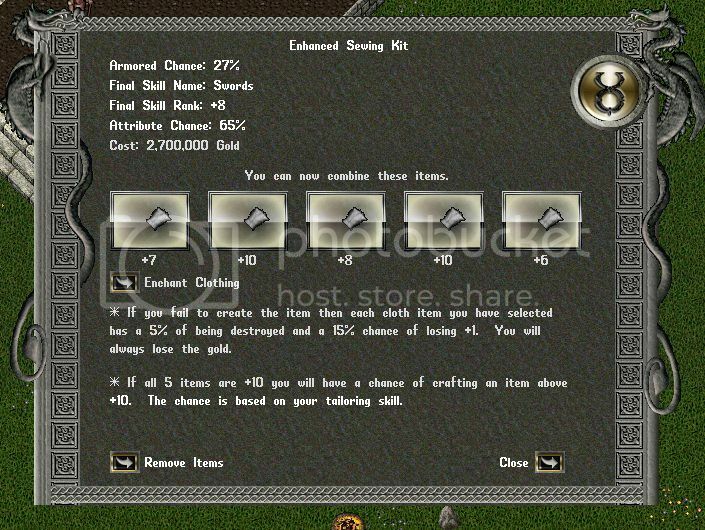 (Enhanced, Enchanted, Mystical) Sewing Kits Added: Allows using 5 cloth pieces of the same type and skill to craft an armored cloth item with the potential for additional properties. 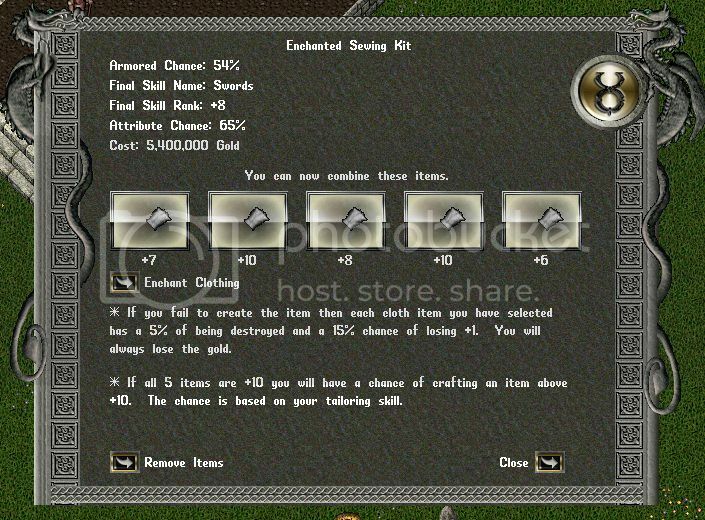 The results are based on the Tailoring Skill, Luck and the 5 cloth items used. The gump displays all of the results, risks and cost. 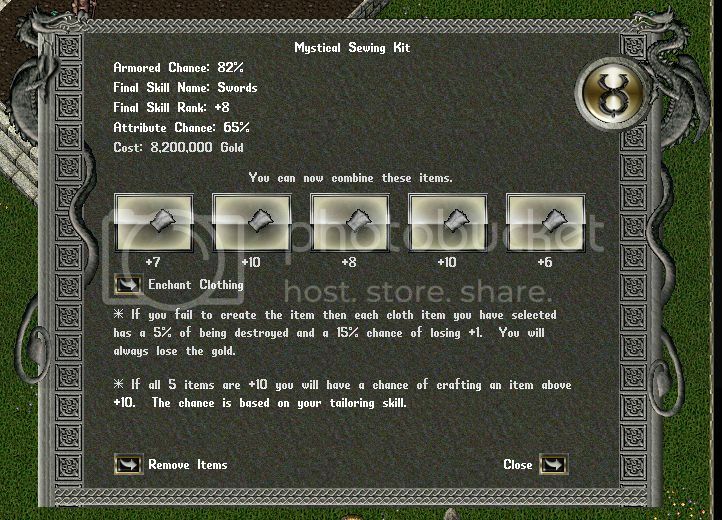 These sewing kits are rare drops from Blaze Leather Elementals and above. There are three different kids, the only difference is the success rate based on the cloth items used; 33%, 66% and 100%. I've listed the three kits with the same items so you can see what changes with the different kits. were Indonesian IPs blocked with this update? worked yesterday now forum and game times out.